Yum, I love tomato sandwiches. Looks YUMMY! Enjoy your day! Ooooooohhh...add a little sprinkle of Jane's Crazy Mixed Up Salt and add a glass of iced tea and there's heaven to be had!! Looks wonderful. 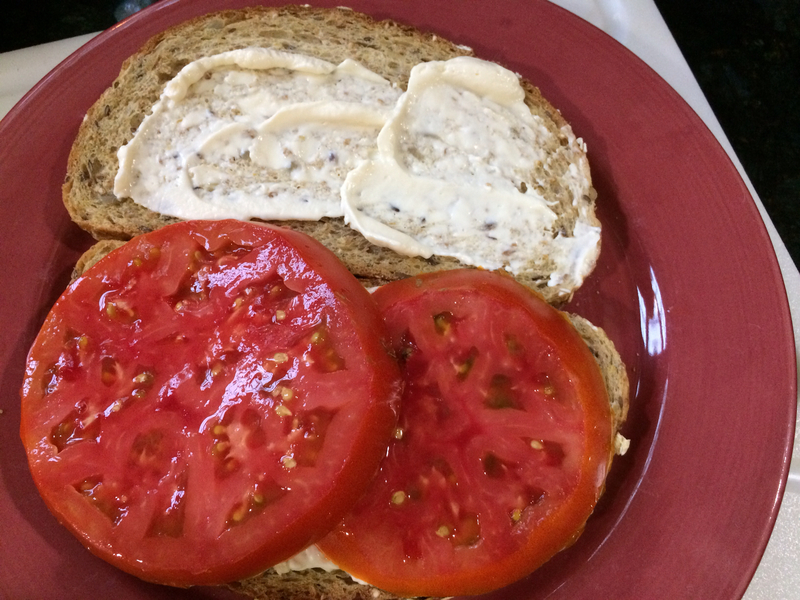 We've been enjoying fresh tomatoes as often as we can cause they'll be gone before you know it.